Soprano Kate Walker presents an evening of popular opera joined by Bianca Phillips, Julian Jensen and Andy Farris, accompanied on piano by Mary Mazur-Park. Included in the programme are arias from The Magic Flute, Carmen, The Marriage of Figaro, Cosi Fan Tutte, Madam Butterfly and La Boheme. 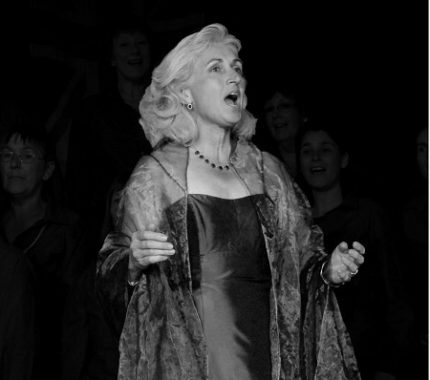 Kate is well known for her performances in concerts, oratorios, operas and shows throughout the South West. She appeared as soloist in composer Helen Porter’s production of The White Book of Winter in February this year. Bianca has sung the lead soprano roles for many G&S operettas, including performances at the International Gilbert and Sullivan Festival in both Buxton and Harrogate. Other principal roles include Isabelle in the Royal Philharmonic award-winning opera ‘One Day, Two Dawns’ and Michaela in Bizet’s ‘Carmen’. Julian is Foundation Director of Music at Mount Kelly and Musical Director of the Mount Kelly Choral Society. Prior to this he enjoyed a successful career as a soloist in opera, performing a wide range of roles with international companies including D’Oyly Carte, Opera de Lyon, Scottish Opera, English Touring Opera and the Festival of Aix en Provence. Andy has sung Oratorio with several of Cornwall’s choral societies and the Plymouth Gilbert and Sullivan Fellowship.